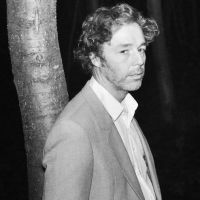 When Baxter Dury picks apart the ironies of the modern day on Only My Honesty Matters, in that deep, cigarette-gravelled voice, the minimalism of the instrumental beneath his rhythmic, spoken word monologue about “having a roll up” and “impotent white obvious people” listening to Florence and the Machine is almost forgivable. Almost. ‘B.E.D’ is an aptly-titled, confessional album that details a Parisian affair between Dury and a lover, as well as some sordid antics in the city. His casual self-absorption and cheeky demeanour make the overarching narrative endearing, and his unreserved straightforwardness grabs the listener with a sense of familiarity and reassurance. Also along for the ride, however, are his new friends: French dance pioneer Étienne De Crécy and London punk Delilah Holliday from Skinny Girl Diet. The collaboration is an interesting idea on paper, but each song here plays out as another combination of tinny drum machines, simplistic, repetitive synth lines, and the deadpan vocals of Holliday, who plays the frustrated lover. Frequently, we are left to wonder whether this basic, skeletal groundwork is a stroke of genius or if we would rather something with a little more meat on its bones. One play of White Coats, the LP’s lead single and its most listenable track, provides the full flavour of what this whole collaboration is about. And that’s enough, really. It’s not as though these three worlds can’t be fused - Dury’s father, Ian, was a trailblazer of an out-there style that blended aspects of punk with danceable, synth-led songs spectacularly back in the ‘70s - but as a whole, ‘B.E.D’ doesn’t quite pull it off, whatever the “it” is this trio set out to achieve. Even as the final track fades, an eyebrow-raisingly abrupt 19 minutes later, that’s still unclear. Holliday’s tracks are particularly hard to get a handle on. Fly Away and But I Think bring her solo vocals high in the mix but it’s clear from the offset that her glottal stops and flat melodies are better suited to punk, where they can be shrouded by distorted guitars and a thrashing live kit. Here, her voice doesn’t hold up well enough to keep the songs afloat. The album’s saving grace is its more pop-based moments. Tais Toi (“shut up”) opens things with upbeat synths and staccato rhythms reminiscent of early LCD Soundsystem, while How Do You Make Me Feel is melodic to the point that you could picture it playing at the beginning of an awkward ‘80s house party, where teenagers stew in silence before getting up and dancing. Dury - whether solo or with collaborators - will always be an East End bloke nattering away over some synths. Is that a good thing? It’s truly difficult to tell on ‘B.E.D’, which could definitely do with a break from the repetitive production to keep our interest well and truly piqued. 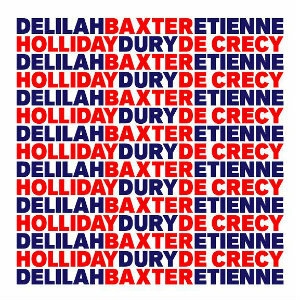 Baxter Dury, French dance music pioneer Etienne De Crécy and Delilah Holiday of London punks Skinny Girl Diet have united for a collaborative LP called 'B.E.D'. Baxter Dury will tour the UK this autumn. Baxter Dury has announced new UK dates as part of a European tour.